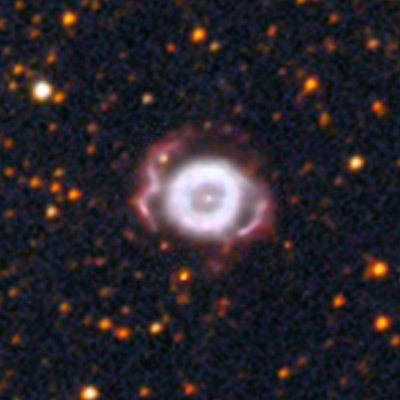 Discovered by William Herschel, Little Ghost Nebula is a planetary nebula in the constellation Ophiuchus, with a clear and very well marked ring structure. Its distance is uncertain, and estimates vary from a minimum of 2000 to a maximum of 5000 light years. In first scenario the nebula belongs to the inner edge of the Orion Arm, in second - it is within the Sagittarius Arm. The star that created the nebula is visible inside the ring, but it is not exactly at its center, it is relocated a little to the west. It is a white dwarf of pulsating type (known as V2310 Ophiuchi), that emits strong ultraviolet radiation which ionizes the gas pushed by itself in the last phase of its life cycle. If observed in radio waves, NGC 6369 appears to be the third brightest planetary nebula in the sky. Before the collapse, the progenitor star probably could have a mass greater than 1-1.5 M⊙, but there is uncertainty because no one has been able to determine the carbon abundance within the nebula. 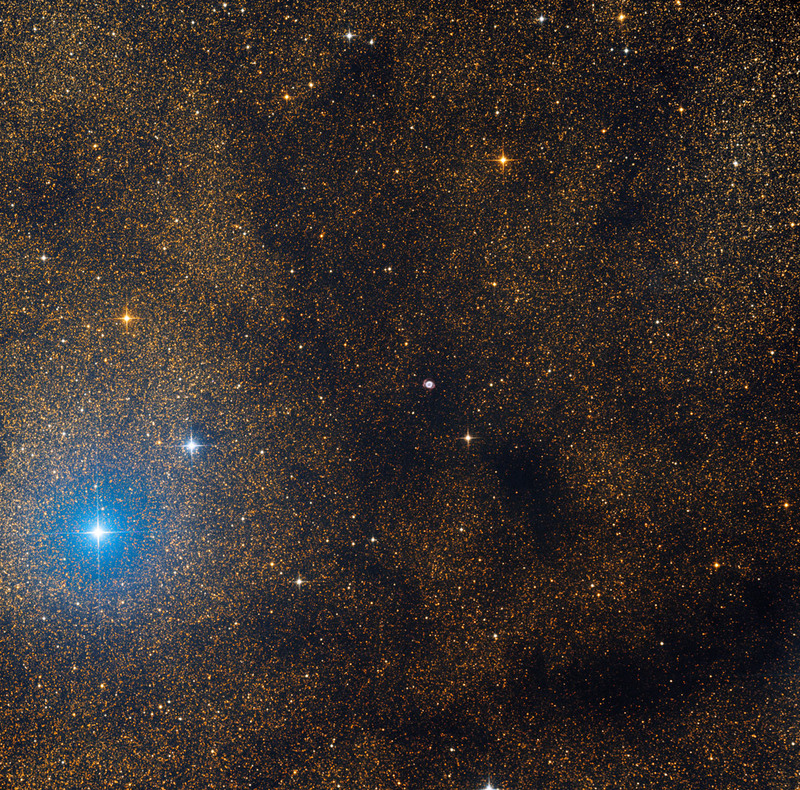 The current white dwarf has a surface temperature of 70,000 K. Two dark nebulae can be spotted on this image: Barnard77 and LDN 69 (see the annotated image). Below can be seen a highly magnified crop of the nebula itself. L:4x10min, R:3x10min, G:3x10min, B:3x10min, Bin 1 Total Exposure Time 130 min.